So, Paul Lambert’s chase of Norwich midfielder Wes Hoolahan is official. Weren’t the 1990’s better, when under Ron Atkinson, Aston Villa rebuilt their team with ex-Liverpool players such as Houghton, Saunders and Staunton. Ex-Norwich players just don’t seem to have the same ring to them. So far, ex-Norwich boss Paul Lambert has brought in three ex-Canaries in the shape of Jed Steer, Grant Holt and Ryan Bertrand. The race to snag a fourth before the close of the January window, has just publicly warmed up, with Norwich City issuing a statement that Hoolahan’s transfer request was rejected. Today, Norwich City announced that it had rejected Irish midfielder Wes Hoolahan’s transfer request. One of the most badly kept secrets of the transfer window. CITY can confirm Irish international midfielder Wes Hoolahan has today submitted a transfer request which has been rejected. 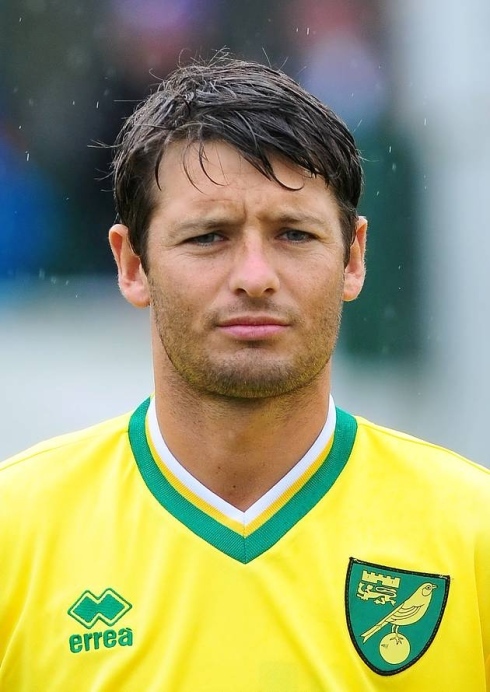 The Board of Norwich City has stated clearly no senior players will be sold against the Club’s wishes and Hoolahan, 31, is contracted to the Club until June 2015. When a transfer request is made by a player who has a clear club in mind, it normally means one of two things. 2) It’s one last desperate attempt by the player to get out. If so, then Hollahan’s chances of being a Villa player are over. Considering Hoolahan’s age and contract at Norwich it is difficult to see Villa willing to front up the kind of cash that will make Norwich change their mind. Money can change any club’s mind on a player, but Villa would only get a couple of decent seasons out of Hoolahan who will be 32 this season, so they’re unlikely to really chase him too hard. The key will be the player’s current relationship with his current club. Norwich do have a position of power, as if they play hardball with Hoolahan, as Lambert did with the Villa bomb squad, he might not actually play in the Premiership again. It’s a threat they could make. It’s also possible, that in rejecting the transfer request, the Canaries are also hoping to raise Villa’s proposed offer, before actually selling the player before the close of the window. Although, as we know, Norwich don’t exactly like Aston Villa and potentially wouldn’t want to sell to a relegation rival either. To be fair, Bertrand didn’t play under Lambert at Norwich he was just a young player on loan there the season before. But he does seem to be raiding them a lot. The good thing? Aside from taking one of their best young prospects in Steer, Holt and Hoolahan are two of their best players in decades. It’s not like we’re scraping the Norwich barrel – they are good experienced players that have done well in the Premier League, Lambert knows their game and they can help us out in the short term. God only knows why Hughton isn’t playing Hoolahan and the Norwich fans seem to be on the verge of mutiny if he leaves. I’ve seen a lot of people questioning Hoolahan’s quality. He has quality. And at a low price he will definitely improve our team for a year or 2. I don’t see the problem.